November means the official start of the Holiday season and we couldn’t be more excited! Cooler weather, fall colors, Thanksgiving festivities, and Black Friday sales are among the many things we love about this month. But the best part about November (in our humble opinion, disclosure we are also a real estate, design and renovation company) is the decking of the halls with festive decor. It’s the time when the whole house becomes a place of festivity, whether it’s autumn and harvest accents for Thanksgiving or the transition to a winter wonderland for the upcoming holiday season. We love how even the smallest of holiday additions to your decor can bring out that WOW factor in your home. But you don’t always need to wait for the holidays to roll around to dress up your home and give it all those vibey feels. “Having a great kitchen-to-dining room flow was something critically important to Val and Anthony during their house hunting process with their Realtor, Holly Meyer Lucas. Welcome to The Real Homes of Jupiter. Situated just north of Palm Beach and just south of the Treasure Coast lies the sleepy coastal town of Jupiter, Florida. From our famous golf courses and world class beaches, Jupiter has so much to offer residents from all walks of life and across all age groups. As a top real estate team in Jupiter, we have the inside scoop on all things HOMES in Jupiter! From eclectic seaside inspired cottages, to luxurious waterfront beauties, the Real Homes of Jupiter is a monthly feature presented by the Meyer Lucas Real Estate team, showcasing Jupiter's most inspiring homes and their amazing owners. Sit back, relax, sip yo' wine, and let yourself be inspired! Do you know someone who would be a good fit? *Scroll to the bottom to find out how you can nominate them for next month's RHOJ*. Every year, September buzzes with all things Fall. From pumpkin spice lattes to misty mornings, there is something dreamy and whimsical about the Fall, whether you're in Upstate New York and actually cold or in the Palm Beach area and just faking the funk. September is full of vibes: back-to-school fashion, the spices in the air, and the holidays lingering around the corner. To that end, we couldn't think of a better September Real Homes of Jupiter to feature than the queen of all things VIBES: the renowned Jupiter Lifestyle and nationally acclaimed wedding photographer, Jessica Bordner. Anyone who follows her Instagram account knows that Jessica is all things chic, cool, and trend-setting. 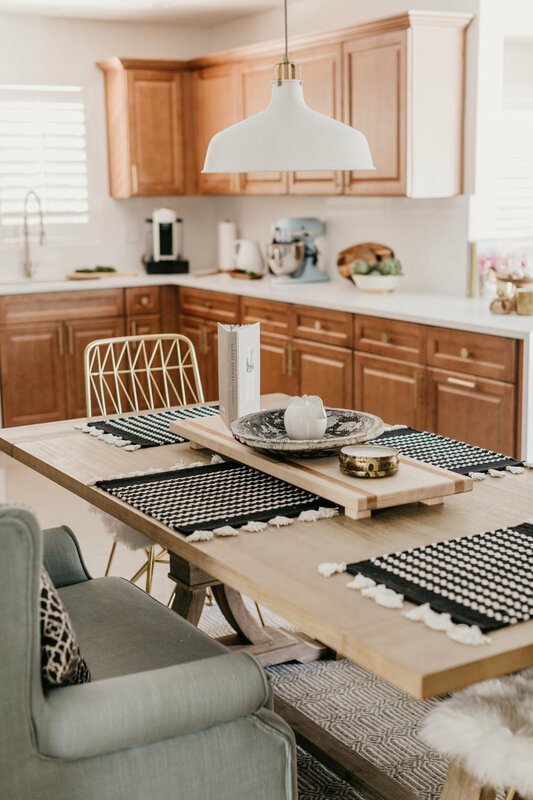 Her home decor choices are no different than her artistry and talent behind the lens - her use of chic décor, mid-century mod with natural lights and nature-inspired accents seem effortless but give us major interior-inspo. 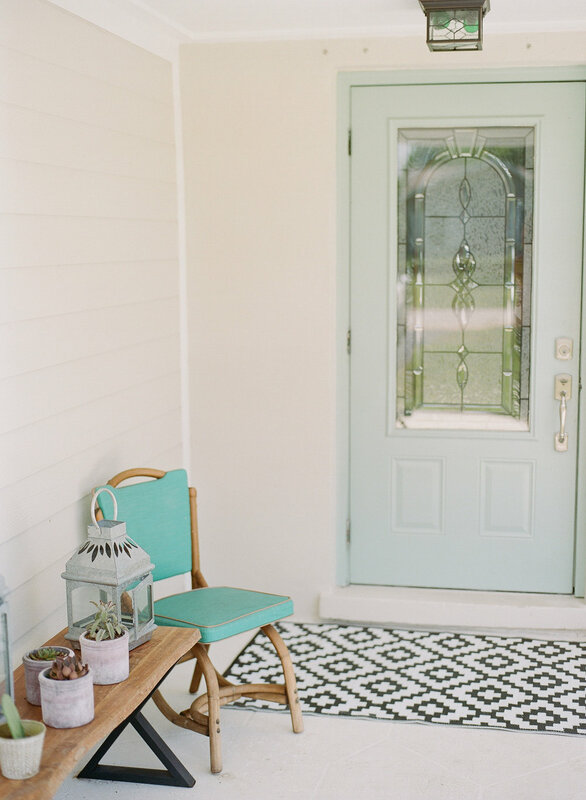 Without further adieu, let yourself Fall in love with September's Real Home of Jupiter: The Bordner Bungalow. (And seriously, go follow her Instagram, y'all. Homegirl is beyond talented). Jessica Bordner exudes all things "charm" and her home is no different. It is impossible not to immediately feel at ease with Jessica, whether she is photographing the biggest day of your life or inviting you into her adorable home. MLRE had the opportunity to chat with Jessica about life, love, and design. "My husband, Michael and I have been married for just over 6 years. We share a passion for traveling, architecture, and food. When we met, Michael was a K9 handler in the Navy and living in Japan. I visited him a few times per year while I balanced my career as a photographer back home. He is now a firefighter in Palm Beach County and we live in our dream home in Tequesta, Florida with our fur child, Avery Jade." 1. What inspires your home decor? 2. What's your favorite space in your home? 3. What's your favorite piece? 4. And where did you get it so we can copy you? 1. What inspired your home decor? "We get a lot of our home inspiration from Palm Springs, California - nature inspired mid-century vibes, cozy feels, and raw material accents." Jessica's home has the perfect balance of rich textiles, bold pieces, and nature-inspired accents. It is so vibey and we just absolutely love it; the wood, the wicker, and the natural greenery placed perfectly next to eye-catching metallic statement pieces, sunburst mirrors, vivid patterns and clean lines. Jessica pairs modern and whimsical and proves that earth tones never go out of style. 2. What is your favorite space in your home? "I think my favorite room has to be our outdoor living space. It was one of the features of the home that we fell in love with first. We love to host parties and utilize the outdoors during most of the year here in Florida. We would much rather dine al fresco when we can." — Jessica Bordner on her favorite space in her home. 3. What's your favorite piece in your home? "Hard Choice!!!! We love our wooden dresser in the guest room. The pop of white mixed with that mid century raw wood look works for that space and I love it. I also love the farm table on our patio that my husband actually built himself." I got the dresser at West Elm! The farm table is courtesy of Michael. Justina Blakeney, Lonny, Carley Page Summers, and Whitney Leigh Morris. A big thank you to The Bordners and of course their fur-baby, Avery Jade, for allowing us to showcase their gorgeous home! Do you know someone with a home in the Jupiter area that might be a good candidate for the #RealHomesofJupiter? Drop us a comment below or email us at hello@meyerlucas.com. Did we leave you wanting more? Make sure to Follow us on Facebook and Instagram: @meyerlucasrealestate & @meyerlucasdesigns for more creative ideas that'll leave you with serious #inspo!